The North East based team will be providing a full spec Yamaha YZF-R1 Superbike for Dunlop for the RST Superbike and PokerStars Senior TT Races as well as the North West 200 and Ulster Grand Prix. Shaun Muir’s experienced road racing team have enjoyed notable success at the TT including podiums with Guy Martin. 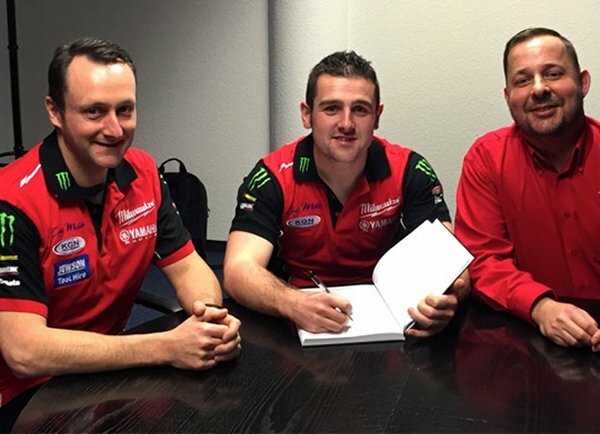 They supported Josh Brookes and Ian Hutchinson in the 2014 TT meeting and Conor Cummins and William Dunlop also rode for the team in 2013. The team has enjoyed significant success in BSB, notably in winning the 2011 Championship with Tommy Hill. Northern Ireland rider Dunlop, who made his TT debut in 2007 after winning the 2006 Manx Grand Prix Newcomers Race, has already won Superbike and Senior TT Races on Honda and BMW machines, as well as recording Superstock and Supersport wins on Honda, Kawasaki and Yamaha motorcycles. He will be looking to add to his 11 TT Race victories, which places him fifth in the outright TT winners list. He has a fastest lap to date of 131.890mph, the fastest-ever standing start lap around the Mountain Course, which he set at the 2014 meeting.